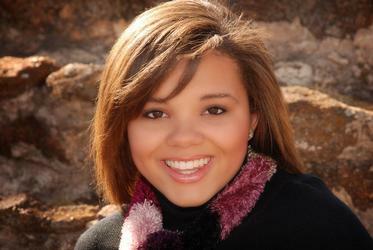 Ashley Nicole Stevenson was born January 11, 1994 in Abilene Texas. Ashley was known for being sassy, precocious, exuberant, and having a beautiful personality. Outgoing and charismatic, Ashley participated in cheerleading, community beauty pageants, and served as a member of the homecoming court at her local high school. With confidence and a desire to help others, she faced challenges head on. When teen pregnancy became an epidemic at her local high school, instead of ignoring the issue, she designed and delivered a program to 8th grade girls entitled, “9 Seconds or 9 months” in an effort to educate young women on the prevention of teen pregnancy. Ashley used her platform as a cheerleader to educate and inform others about breast cancer. During the month of October, Breast Cancer Awareness Month, she led a campaign to raise money for research and for survivors, marketing T-shirts, selling candy, and designing a pep-rally around the campaign. She spent many hours volunteering for local charities; something she was passionate about. After graduating from Sweetwater High School in May 2012, Ashley attended Texas A&M University in College Station where she pursued a degree in Sociology. While at Texas A&M, Ashley served as the co-public relations representative of the Aggie Southern Darlings women’s organization. She consistently took part in Susan G Komen events, The Big Event at Texas A&M, and volunteered at various local charities. She was also the author of the online blog, The Truth Isn’t Always Pretty. In June of 2012, Ashley became a Driver License Technician II, with the Department of Public Safety, which enabled her to help the public on an everyday basis. 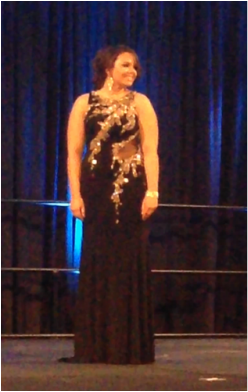 Most recently, Ashley interned for Susan G. Komen in Lubbock, Texas, while home for the summer of 2014. Upon her early graduation from Texas A&M in 2015, Ashley planned to move back to Lubbock to pursue her masters degree in Sociology, with the ultimate goal of being a Regional Director at Susan G Komen. While home for Thanksgiving, her freshman year, she met Dallas Joseph Smith III, who would become the love of her life. Together, they enjoyed rooting for the Dallas Cowboys, attending church and spending time with their families. 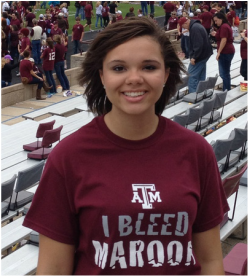 Ashley loved God, her family and especially Texas A&M University. She believed that God made College Station, and Texas A&M, the place for her to be. Through her education, she was able to meet many people. Many good things can be said about Ashley because of the life she led. She lived her life to serve others. She chose to give to others even in death as an organ and tissue donor. 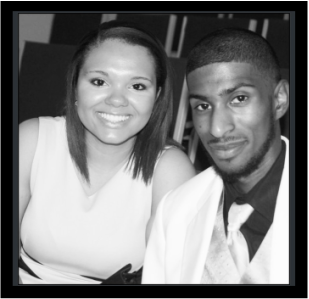 In hopes to continue her legacy of service her family has established the Ashley Stevenson Memorial Scholarship, to enable a student who is dedicated and driven, like Ashley, to continue his/her education beyond high school. Click HERE to watch a video of Ashley.